D10 – Used for SPI Chip Select. D11 – Used for SPI MOSI. D12 – Used for SPI MISO. D13 – Used for SPI SCK. I initially tried the NetduinoVS1053 library from SoftElectoTech but found that no sound was produced. I tried different pin configurations, format and bitrate music files but nothing worked. I then had a look at the shield schematic and noticed that D11/D12/D13 were not connected to the VS1053, only D10 which is used for chip selected on the MicroSD card socket was connected. I soldered some jumpers to the board and connected the SPI pins on the ICSP socket to the D11,D12 & D13 on the edge connector and the shield now works. It would be good if elecfreaks could make the pins the SPI bus uses configurable using jumpers or similar. I could now play MP3 files off the SD card on my Netduino Plus 2 but couldn’t adjust the volume or change the track being played. Using an interrupt based approached for the UI also highlighted some problems with the driver code which I will discuss in a future post. 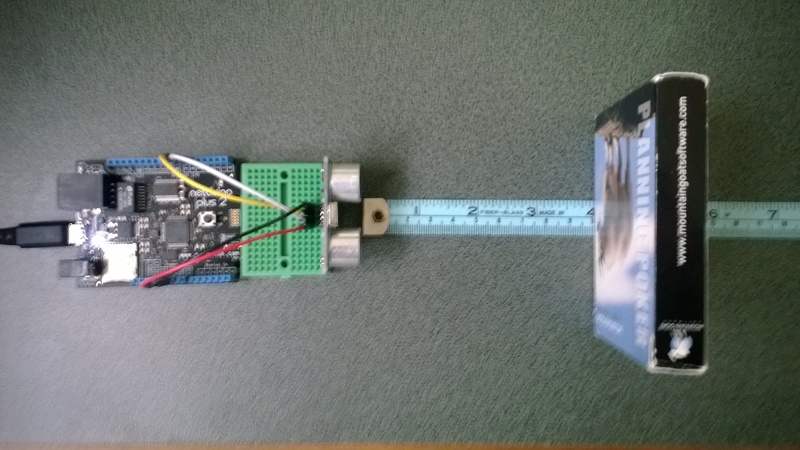 I had been thinking about an Ultrasonic Tape measure as one of the projects for code club. One of the “challenges” we start each evening with was measuring how long the Netduino on board button was pressed using an InterruptPort triggering on both the leading and trailing edges. 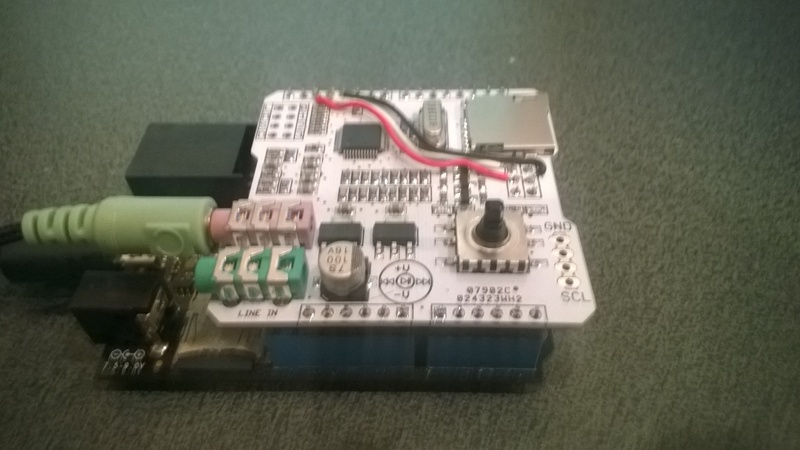 This challenge implements the core of the code required to use an Ultrasonic Ranger. To make a measurement the trigger pin is strobed high, then the duration of the pulse on the echo pin represents the distance from the object. The NetMF DataTime structure represents tick as one hundred nanoseconds or one ten-millionth of a second. (There are 10,000 ticks in a millisecond) so the duration in ticks/58 is the distance in millimetres.